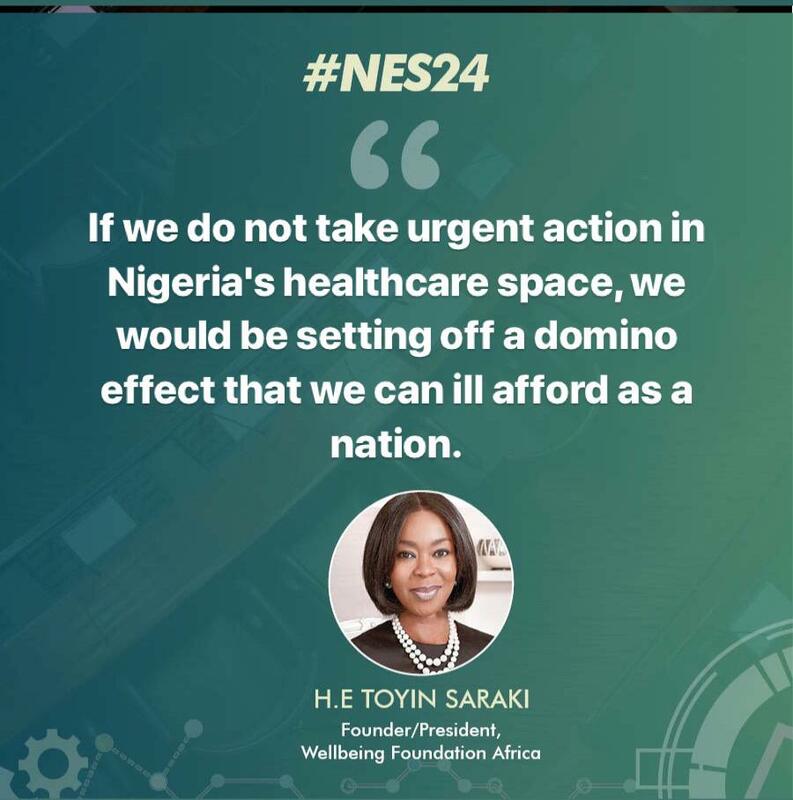 Mrs Saraki welcomed the draft ‘National Policy on Incentivizing Healthcare Investments’ and the signals from the Federal Ministry of Health that it would prioritise domestic and global resource mobilisation towards addressing the challenges of a struggling healthcare system. 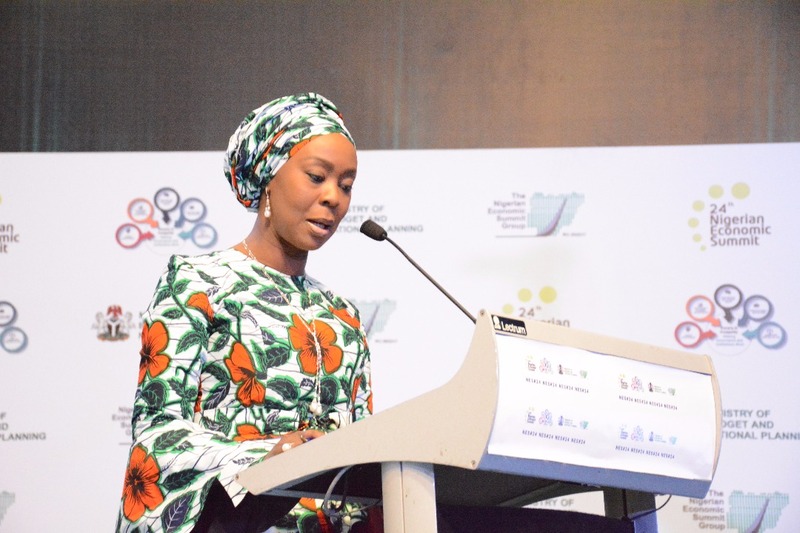 As Founder-President of the Wellbeing Foundation Africa, Mrs Saraki also shared the best practice models being implemented by the organisation, including novel solutions to health and development challenges across Nigeria, urging a dedicated increase in human capital development from birth to age. 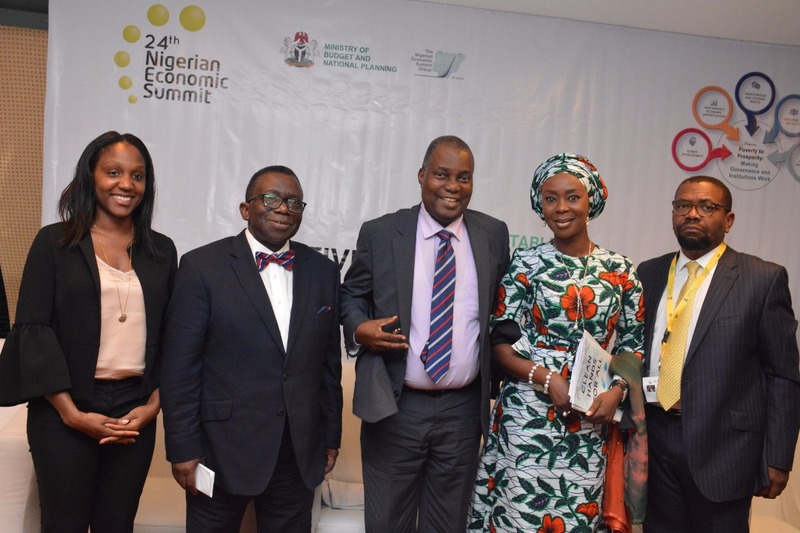 She also delivered the closing plenary address and participated in the ‘Poverty to Prosperity’ plenary panel alongside Rachid Benmessaoud, Country Director of World Bank, Gates Foundation Country Director Paulin Basinga, and Sterling Bank CEO Abubakar Suleiman. In Nigeria, 15% of completed works on public water infrastructure are considered to be of unsatisfactory quality, and nearly 30% of water points and water schemes fail within their first year of operation. Access to piped water on premises in urban areas has decreased substantially, from a level which was already critical. Across most water-utility indicators, Nigeria underperforms in comparison to African and global averages and needs to invest at least three times more than it does today to achieve the WASH sustainable development goals. The Wellbeing Foundation Africa last month announced a new partnership with Unilever Lifebuoy Nigeria and Sightsavers to improve hygiene practices to impact more than 2 million children, their families and communities over the following 12 months.